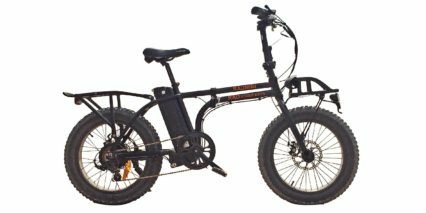 Comfortable saddle, ergonomic grips and suspension fork with lockout, two color choices but only one frame size 19"
The Rad Rover electric fatbike officially began its life in May 2015 with a successful crowd funding campaign through Indiegogo. Hundreds of bikes were pre-sold at that time and now in August 2015 over 70 have been delivered. 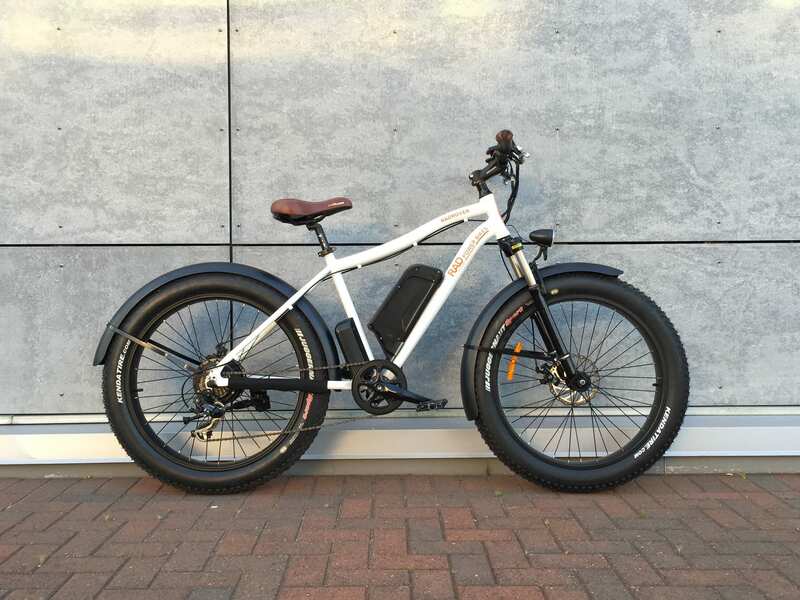 Anyone can get the bike and I’m told wait times are about 30 days at this point… pretty solid for a brand new ebike company! I got to visit Rad Power Bikes headquarters in Seattle Washington and test ride two production models (one with fenders and one stock) and was very impressed. 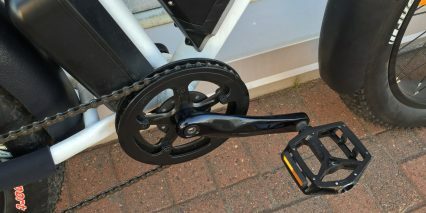 While the drivetrain, brakes and suspension fork are a bit basic… they definitely do the job and match or exceed many of the models I’ve tested from larger more official companies in recent years. For ~$1,500 you get a decent platform with an impressive motor, battery pack and one year warranty. 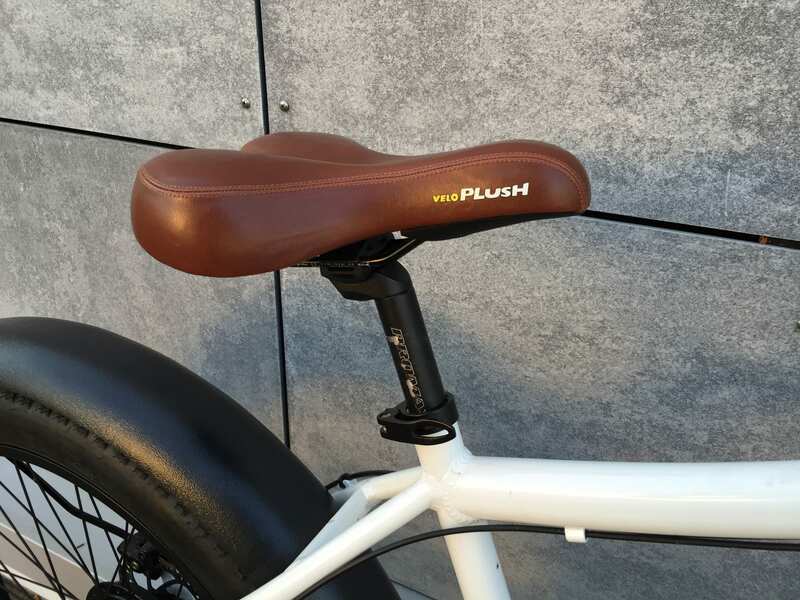 There’s only one average size at 19 inches but the seat can be adjusted and aftermarket handlebar could really dial in your body position. My favorite parts are the little extras including an integrated LED headlight that runs off the main battery pack, upgraded Kenda tires and wider Wellgo pedals. 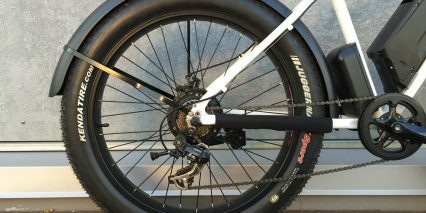 Even the suspension fork is something of an upgrade, very few “value level” fatbikes offer this and the Rad Rover fork has lockout so you can reduce bob and be efficient on smooth surfaces! At ~61 lbs the bike isn’t exactly light but it’s also not too heavy considering all of the features. For a bit extra you can order wheel lights and two different types of fenders to keep you clean and dry. Driving the Rad Rover is a solid 500 watt planetary geared hub motor from Hangtai. I hadn’t really heard of this brand before the demo ride but it performed very well! The team explained that they were excited about this particular motor because it has metal gears vs. plastic. 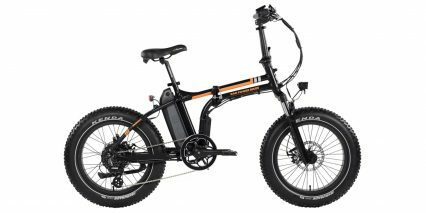 With a peak power output of 750 watts, they felt like it would be more durable for climbing and navigating rough terrain… Well, I can confirm that it did alright for me in the flat parking lot! Part of me felt like it might be a little noisier than plastic geared motors like those from 8Fun I’ve experienced before. Overall, it felt zippy and easily reached the 20 mph top speed. I was actually surprised with the small form factor, it’s almost completely hidden behind the seven speed cassette on the right and the 160 millimeter disc brake on the left. 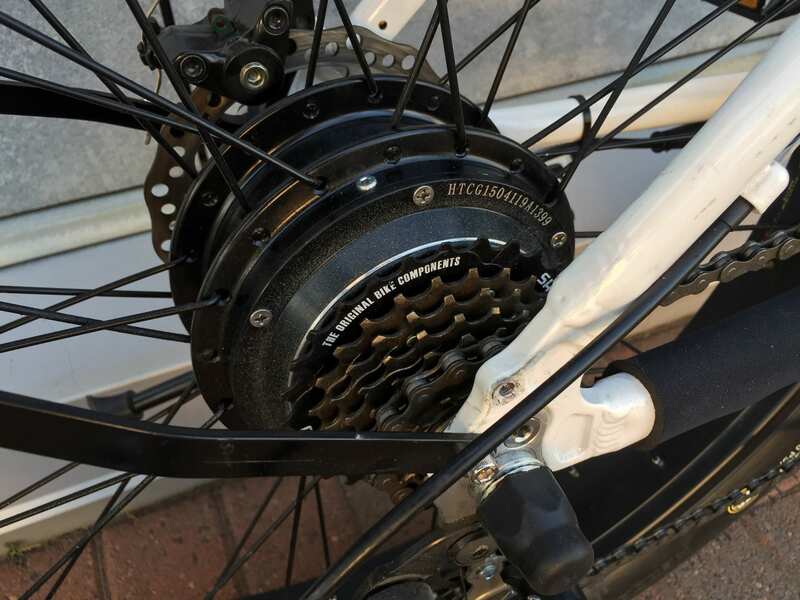 While inspecting the motor I noticed that the spokes and rims are also black and match really well, there’s also a black neoprene slap guard across the right chain stay to reduce banging and paint chipping when riding off road. The wheelset they chose might add a bit of weight compared with punched out designs I’ve seen but being double walled, you don’t have to worry about getting dirt and debris inside the rim if you go off-road. 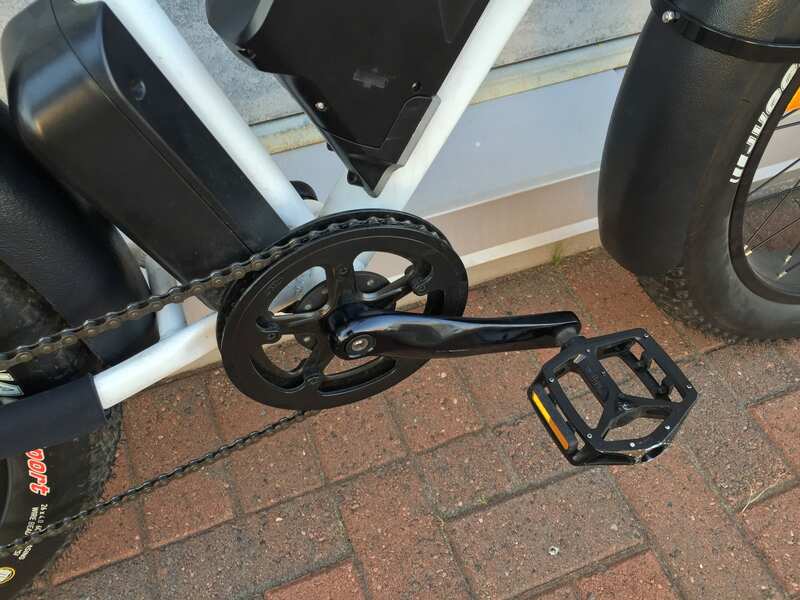 I also noticed that neither wheel offers quick release and this means transport, trail maintenance and deeper repairs will require more tools and time. 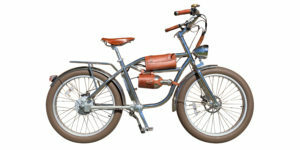 Powering the bike is an impressive 48 volt 11.6 amp hour battery pack in a “dolphin” style case. I see this case more and more on ebike conversions because it keeps weight low and center on the frame. I love that it locks, can be charged on or off the bike, includes a replaceable fuse and even has a USB charging port for portable electronics. I don’t love that you have to turn the pack on before activating the LCD display… This extra step adds time and makes it easy to forget to turn off at the end of each ride. Thankfully, the “on” button lights up with a blue LED and should catch your eye. The cells inside the pack are higher quality Samsung 29E Lithium-ion type. They should perform well and can be made to last if you store at 50% capacity and avoid extreme heat and cold. 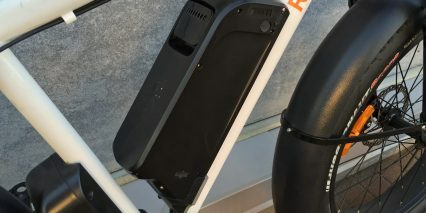 In addition to the battery pack, a small black control box has been mounted to the frame (just behind the seat tube). It delivers 15 nominal 22 peak amps for fast, strong performance but does add a bit of clutter. Some other fat bikes have used plastic cases to conceal their controllers but those add weigh, may limit cooling and can bump your knees. Other ebikes have upgraded to in-frame battery designs and that can be sturdier but also adds significantly to the price. Pick your poison! While I liked the white frame choice for its visibility (especially for night riding), the black one matched the suspension fork, cables, battery, controller and motor a bit better. Operating the Rad Rover is a two step process. Press that battery on/off button then press a second on/off button (the Mode button) on the control pad near the left grip. At this point, the large backlit LCD panel comes to life and shows your battery level, odometer, speedometer, assist level and watt usage. The display is not removable but it does swivel a bit which can help to reduce glare. You can cycle through a few other readouts by pressing the Mode button again but the real action is with your up and down arrows. These allow you to select from five levels of assist. On the model I rode there was no Zero level for throttle-only riding but I’m told that this may be added down the line. The bike uses a high quality twelve magnet cadence sensor to activate assist and it felt responsive and fluid to me. Being cadence-only, you really don’t have to push hard to get power support, just keep moving the cranks forward and the motor will do the rest. This means your range isn’t as good as a torque sensing design but it might also reduce strain on knees and hips. To me it felt great and I love the motor cutoff switches that are built into both brake levers, at any time you can kill power by squeezing either one. The brakes are mechanical so they take a bit of extra effort to operate but should be easier to tighten and repair over time (of course, they also contribute to the lower cost). The front disc brake is a bit larger at 180 mm and this is where the majority of stopping power comes from if you squeeze both levers. The twist throttle on the Rad Rover is a bit of an upgrade in my view because it lets you override assist with full power (great for pedaling in a low efficient mode, then dashing past a fellow cyclist or ascending a hill) and it also features an on/off toggle switch. This means you can completely disable the throttle and rely solely on pedal assist whenever you’d like. The throttle-off feature could be useful if you’re concerned about accidentally activating the throttle in bumpy environments. 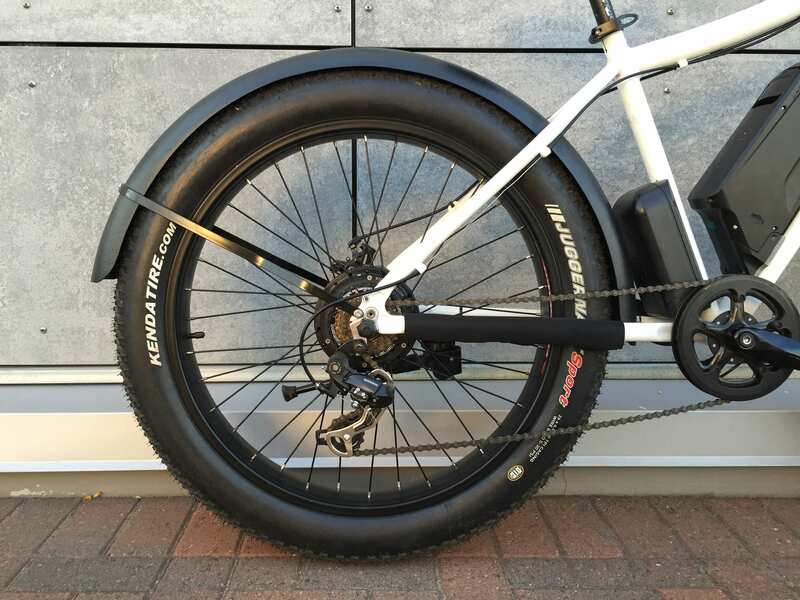 This is a fat tire bike after all and it should perform well in sand, snow and other soft terrain if you reduce tire pressure to ~12 PSI (note that range will take a hit). 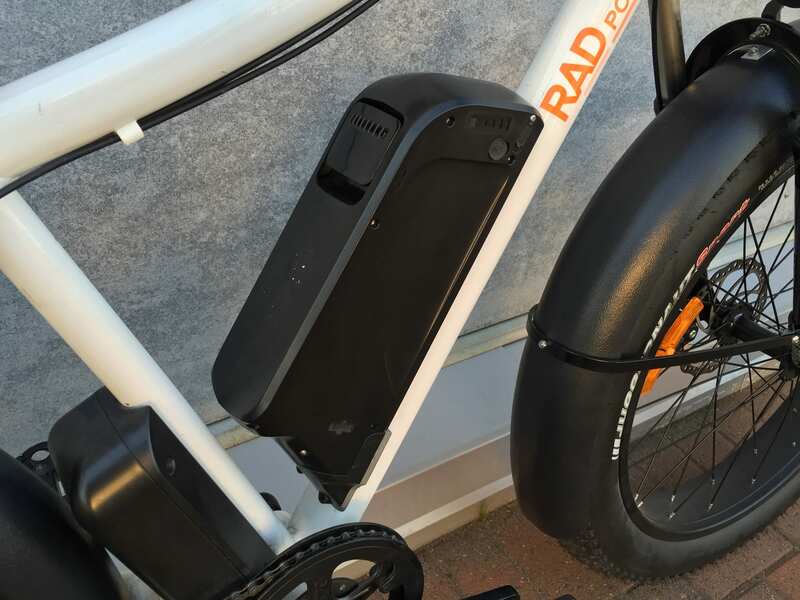 The Rad Rover electric bicycle really impressed me and Rad Power Bikes earned my trust with the honest way they conducted their crowdfunding marketing campaign. This is a small team of dedicated electric vehicle enthusiasts (who are working on other models!) that designed an above-average product for a below-market price. 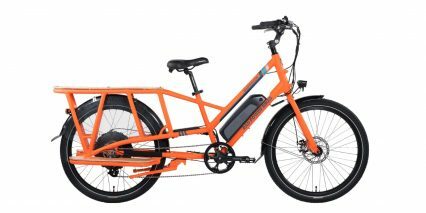 You won’t get dealer support with this ebike, shipping will cost a realistic $70 and you’ll have to do some assembly work… but it’s a great value and lots of fun to ride. 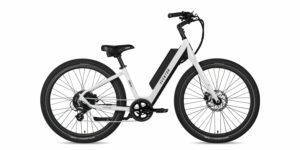 With seven speeds to choose from I was able to comfortably pedal at 20+ mph but also felt good at lower speeds for climbing… considering the weight of any ebike (and especially a fat model) this means you won’t be totally out of luck if the battery runs out. The charger is small, light weight and portable and works with 120 or 240 volt outlets. The chain guide was a nice touch to keep pants clean and avoid drops and the kickstand should keep the entire thing steady (if only barely… definitely not my favorite kickstand). 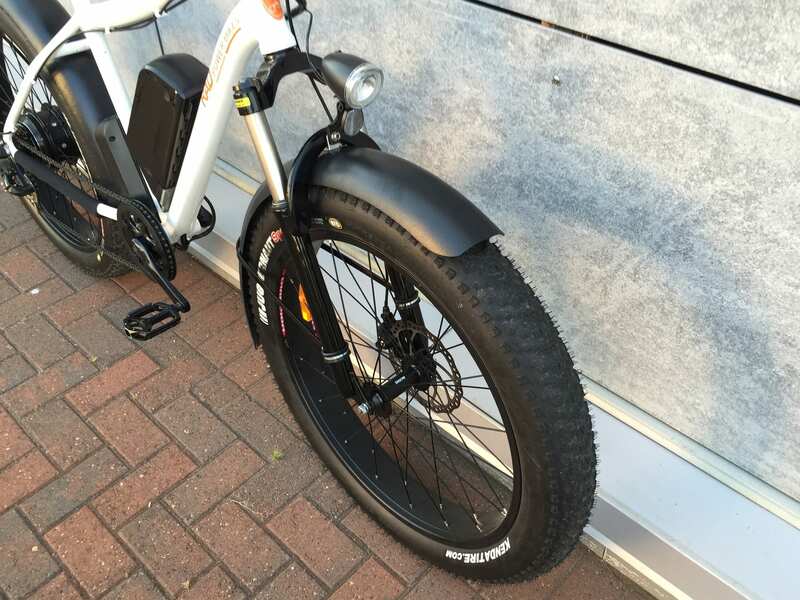 If you’re looking for an electric fat bike with good power from a company that’s offering a solid warranty and you fit this frame size then the Rad Rover is an excellent choice. A rear light might be advisable and I have seen some beam style rear racks that could add utility and a spot for your water bottle. 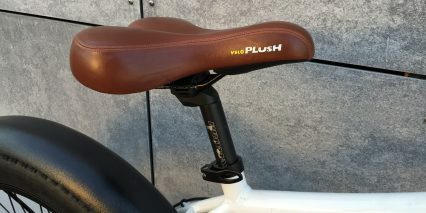 For optimal comfort even a basic suspension seat post could be added and the seat post size is 27.2 mm diameter. On target for the crowd funding campaign and shipping quickly ~30 day wait at the time of this review, solid one year warranty! As always great review. I don’t mind the two button turn on process. This helps prevent someone from easily turning the bike on when unattended or locked up, particularly when the display cannot be removed. I do mind that there is no throttle only mode. Not that I’m lazy but I like an infinite pedal assist capability. Nice to see an honestly decent product come from crowd funding. Nice, thanks for the update Matt! I’m sure I’ll cross paths with the Rad Power Bikes team again but with all of the traveling and other bikes to check out it can take a while. Hope you enjoy yours! Is there any way to say up the throttle only speed? Surely some people have attempted this on other bikes? So close to pulling the trigger on this bike but can’t. I prefer the 28MPH pedal modes and 22 MPH throttle only modes of other bikes even if they are priced a bit higher. Hi Will! Good question… The display panel on the Rad Rover seems pretty generic (King Meter I think) so you could search around for how to modify it but doing so could void your warranty. I have never tampered with the electronics or software on “complete” bikes like this. 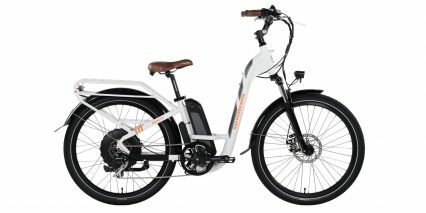 Most electric bikes I test right now are 20 mph but there are some that hit the 28 mph mark and I’ve tagged those models as speed pedelec here on the site to make them easier to find. Most of them are $2k+ so that’s a big question on your budget. You might be able to contact Rad Power Bikes and ask them if it can be unlocked, some bikes can hit 25 mph if you go into the menu and use a code and many companies will share that if you plan on riding off road. Would love to hear what you come up with! Hi Mike, I don’t think that’s possible here. 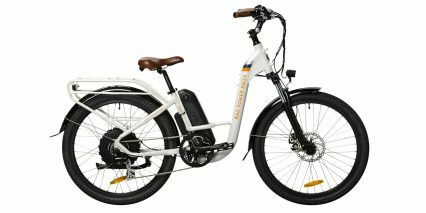 Most electric bikes with LCD computer type displays are locked for legal reasons and keep maximum speed at 20 mph. 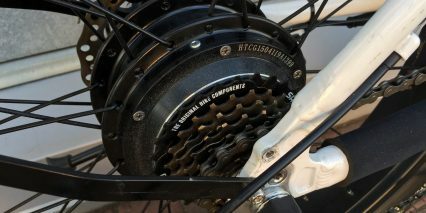 You may be able to seek feedback from people who like to tinker with them by asking around in the Rad Power Bike forums. I have messaged them. I remain hopeful since this bike seems like great value with alot of extra options. Even 22MPH would be worth it but 25MPH would honestly just be icing on the cake. You would think everyone would do it as an added revenue stream. Even if it voided warranty or reduced warranty for the purpose of off roading. I know 20MPH is needed to keep in line with various municipal and state laws. Would “lying” to the display panel where you input wheel size affect speed or acceleration? IE: Saying you have a smaller or larger wheel than you actually have. An owner’s review: I bought my 2015 RadRover for $1500 on Black Friday (free shipping, yay). In its first month or so, I put about 100 miles on it, over 75 of that on trails. After getting my 2015 IZIP Sumo (demo model with 5 miles on it) in January, however, I basically stored the RR for a couple months because the Sumo kicks its arse on steep hills (and pretty much everywhere else, for that matter). One more not-so-great tidbit: I pulled my RR back out for a little 15 mile dirt road spin recently, and its front wheel bolts, rear cassette and brake discs were all rusty! I have 11 bikes, none of which get any special attention before storing them for much longer periods, and none – including my $700 Sondors with over 300 miles on it – have any rust on them! And about 10 miles in to my recent ride, the bottom bracket started rattling like a ball bearing was bouncing around inside it. Moral of my story – be prepared to replace several parts and components if you plan to put decent mileage on the Radrover. Thanks for the feedback JimBo! Sorry to hear about the rust cropping up. I’m bummed that the suspension fork has been wobbly because that was one of the highlights of the RadRover for me… The Sumo uses a rigid fork and while large fat tires help absorb some bumps I think that would be one area I’d upgrade. What are your thoughts on the ride quality of the Sumo? I’ll be reviewing the 2016 model this week so any questions you want answered or other feedback I should look for is welcome! Im a big guy 6′ 260 lbs. Will this bike be comfortable for me? Hi Jimbo, may i ask how is RR perform at low battery? Is it still fun to ride? Is it still there “power & speed”? The 2015 Sumo is a whole different ballgame. Riding trails with fat tires at 10-12 lbs, shocks are superfluous, IMO. I did add a Thudbuster seatpost, which allows me to keep the rear pressure a bit higher for digging in on steep hills. The Sumo’s a solid performer with 73 Nm of torque in its TranzX motor, and it’s “off-road” designation allows pedal-assistance up to 28 MPH. I’m not fond of that industry “standard,” because it encourages people to ride faster on trails, which can be dangerous for the rider and anyone in their path. Still, IZIP’s made a great fat eMTB! The “Electro-Drive Centerdrive” motor’s responsive and extremely efficient, and the beast has climbed a few 30+% grade hills with me pedaling along! Its low gearing is perfect for what I wanted it to do, as well (handles snow well, too). No complaints whatsoever in about 150 miles of some pretty rugged trail riding with it. I bought my Radrover first as it was the most affordable bike that gave me what I thought I wanted. At first I thought throttle assist was necessary as well as a higher speed in which the bike was limited. 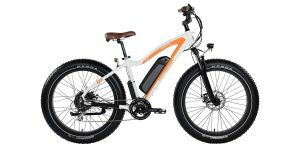 I think the Radrover is the best bang for the buck bike from the research I’ve done and the reviews I’ve read/watched ( yours being the most prominent). My only thought is there needs to be a power setting in between levels 1 and 2 for assist mode. Level 1 can be too little at times where level 2 can be a tad too much… but with the throttle mode it is pretty easy to make up any power you are lacking. I love the traction the fat tires provide! I’ve ridden the entire loop of Redrock Canyon in Las Vegas with it with ease and had battery to spare. A friend of mine went in with me and we got a 2 bike package deal and saved a couple hundred dollars on the price. We both fell in love with the reality of quiet, clean, electric motors helping us out in our times of fatigue. 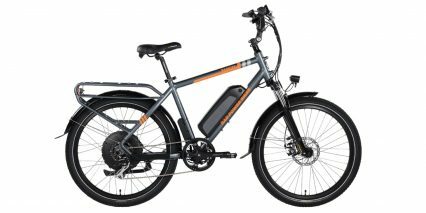 My wife and I are looking into ebikes. Haven’t ridden any kind of bike in years. We are both around 60 y/o, one knee replacement. 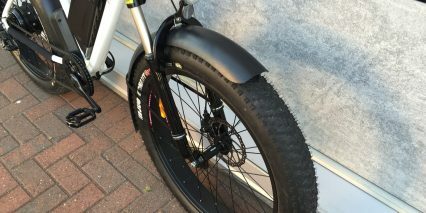 Neither of us have ever ridden a fatbike, but I like the idea of the comfort and stability, although a little concerned about the weight, which the motor should obviously compensate for. I’m not ready for a “granny” bike or trike at this point, or at least I don’t think so! We only plan to ride on flat, prepared bike trails (converted RR lines), but could still benefit from some power assist. We would like to keep the cost per bike below $2,000. I’ve reviewed several, and the Rad Rover is my top choice so far (my wife is more undecided). I’m a little concerned about a previous commenter who reported problems with the shocks, as well as the quickly appearing rust on the bolts and brakes. Perhaps our non-aggressive riding style would not affect the shocks. Any opinions on that? Also, any suggestions about the rust? Obviously, the IZIP Sumo sounds nice, but out of our price range. We also have no need to exceed 20 mph. 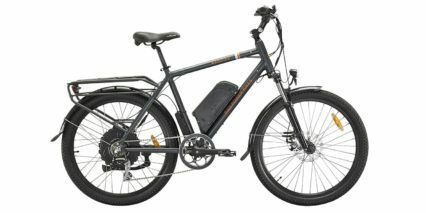 Any suggestions about the Rad Rover, or other ebike that matches our needs, would be appreciated. Thank you. Thanks, Court Rye. We live in Wisconsin, so there is a lot of salt! However, we won’t be riding in the winter. We also don’t plan to ride in the rain if we can avoid it, or through any water, so hopefully rust won’t be an issue. I’ve owned much less expensive bikes in the past, and never noticed an issue with rust. I hope the commenter’s experience with rust was unique. Thanks for your response! 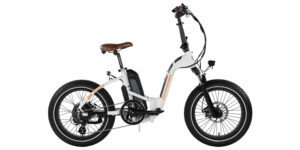 Court, I’m revisiting your August 2015 review of the RAD Power Bikes RAD Rover. Do you have any input or opinions on the RAD Rover 2016 updates since your initial review of the 2015 bike? Are these considered true upgrades or just changes in the components by the manufacturer? Your opinion is most welcomed. Thanks. Hi MarkP, I haven’t paid super close attention to the changes for 2016 but was told that they are working closer with Bafang to have motors stamped as 750 watt since they do some custom programming and want people to know that it’s powerful. Most brands make incremental improvements throughout the year as new shipments are ordered and opportunities are identified (or simply larger lots are ordered). I’ll re-review their products in the future I’m sure but it will likely be a while. I can’t say much without looking closer and I’m focused on other bikes at the moment. Feel free to ask around in the EBR Forums here to see if anyone else has noticed changes or has feedback about what is being communicated by Rad Power Bikes. Since you had first hand knowledge of the 2015 model, I was wondering how these compared to the new 2016 version. Thanks for the reply. Thinking about pulling the trigger on the RR . STILL HAVE A LOT TO LEARN ABOUT! The company does seem reputable, and I haven’t seen any complaints against them. I’m having a hard time deciding on the RadRover or the RadWagon, and I’m honestly considering getting them both. The specs for that price point is hard to pass up. Your reviews have been a huge factor in my decision-making process, so thanks for that, as well as your prompt replies. Cheers! This looks like a great commuter bike with the ability to have some fun on the trails. Still trying to decide between this one and the iGo Metro E though. 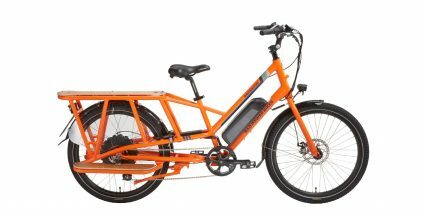 I was able to test out a fat tire e bike in Alaska which was amazing but would it be as maneuverable as the Metro E on roads for basic commuting purposes? I basically want a bike that is going to be comfortable, fun, reliable, can handle some steep hills and mild off roading and not require a ton of upkeep. Any advice between the two? 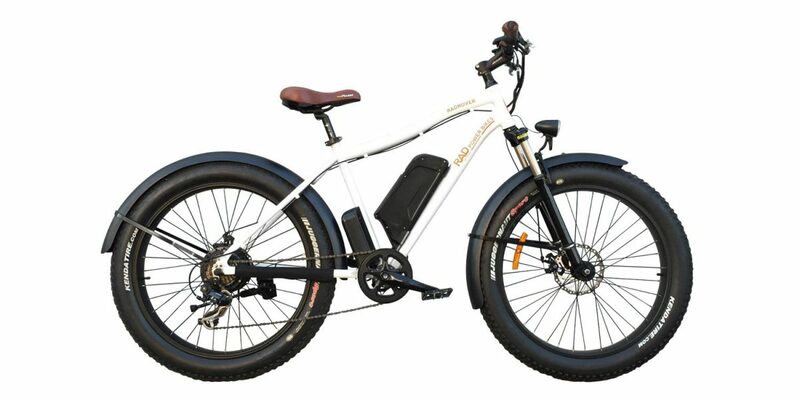 Hi Ed, if money isn’t a factor and you are doing most of your riding in soft sand then consider the 2WD Easy Motion Big Bud Pro or maybe the mid-drive Bosch powered electric bikes like the Haibike Fatsix. The mid-drive is going to allow for easier quick release on the wheels, maintenance, it will be more efficient and offer greater power in soft terrain than a hub (and better weight distribution). All of that said, the price on the RadRover is great, their support seems good (from what I hear in comments and have seen with them coordinating reviews for me) and if you stay in the packed sand it should work alright… I like that it has suspension. Here’s a review of another fat ebike where I actually rode in sand so you can see. Court Rye, quick question, I’m looking to see if the topeak nick rack will work with the rad rover. If so, will it also work in conjunction with fenders? Please send a link of the total model rack that you know will work, I am worried I will end up getting the wrong part if I try. Thank you and have a great weekend! How come this is not in the affordable section? For affordability, should I buy this instead of the Magnum MI5 for affordability? Alright thank you!. My bad, I was only looking at the Top Rated section and was unaware of the tags. Hello Court, thank you for the great review and I believe this comment may come across as being a bit of the same as many others here but I would really like some advice. 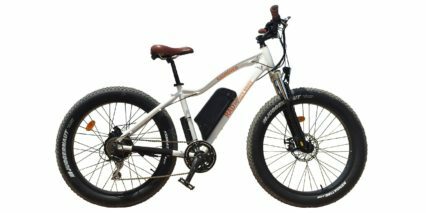 I am really new to the whole eBike thing and am on a limited budget (somewhere around this and the magnum Mi5). My main usage of the bike would be commuting to and from my training which is about 4.5 miles away, 3 times a week. The terrain there is really rather hilly with repeated climbs up and down. The entire distance is on paved roads and I do not really have any plans or ambition to go on trails. I am very comfortable with biking with my own power so the bike does not need to lift me up all those hills but the additional help would mean the world to me. 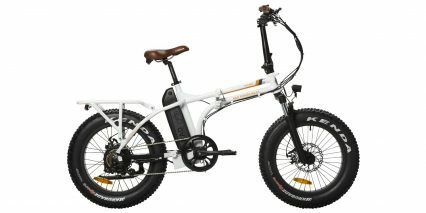 My question is if the RR (2016) is the right ebike for me or if I should consider another option such as the Magnum Mi5 which also seems to be a good option though slightly less powerful. It is also more expensive. 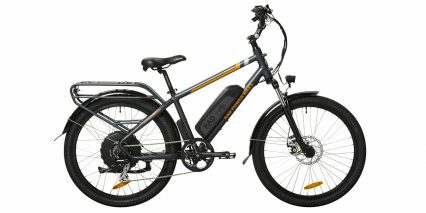 Or maybe there is some other ebike which is more city tailored which I should consider instead? Your help would be massively appreciated. Hi Tobias! You could re-post this question in the forums here but my quick take is that the Magnum Mi5 would be a great fit for on-road use. The more powerful RadRover might actually even out once the larger less-efficient tires come into the picture and they can be more expensive to replace. They tend to be louder and don’t coast as efficiently but that’s offset by the comfort they provide over bumps. 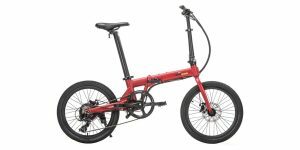 Considering the Mi5 has a suspension fork and medium sized tires, I think that’s the direction I’d go if I were in your shoes. It might also stand out less and be easier to use with bike racks or even transporting in a car. 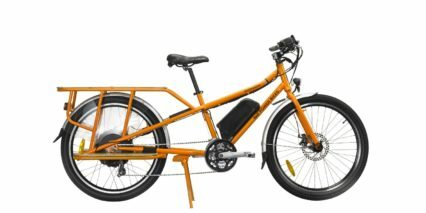 I am a heavy set guy weighting 300 pounds, would this (or the radwagon) be a good choice for me? 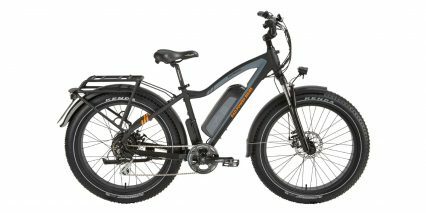 Or should I look into a more heavy ready ebike? Hi Jay! 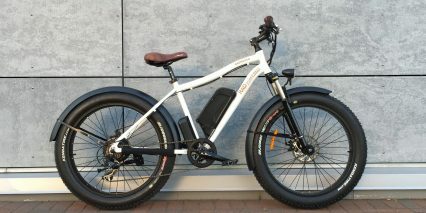 I think either of the Rad Power Bikes mentioned would work for you but officially most electric bikes say 250 lbs max. Depending on how tall you are, the Pedego Interceptor models work well for larger heavier and taller riders. They are comfortable thanks to a more swept back bar and the large cruiser tires help to absorb some bumps. You can even get them with solid cast Magnesium wheels because spokes can come loose and break. 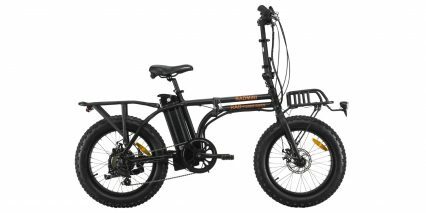 The interceptor has long been my go-to for big people :) here’s a short guide with some other bikes that might work for you, note that the Interceptor comes in a smaller 24″ wheel size and step-thru if you aren’t tall. 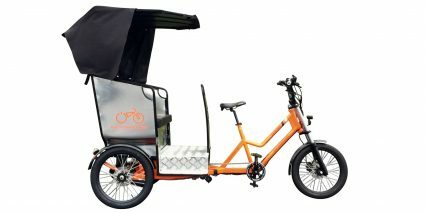 Poor Shipping and Terrible Customer Service – Be very careful if you buy a bike from Rad – if there is any damage to the box the bike is shipped in, decline delivery and send it back. Rad’s bikes are not well packaged, so they often come damaged (even their instructions note the forks may be bent from shipping). That is bad enough, but their customer service is TERRIBLE! I bought a Power Wagon a month ago and still have not been able to use it. The forks were bent, the rear tire tube was popped, the display was broken, the quick release was missing from the seat post, both discs for the brakes were bent and the rear brake calipers were damaged. Rad never responded when they said they would, never sent replacement parts on time, never replace the brake calipers and I’m still waiting for the reimbursement check for the repairs a bike shop had to perform. I’ve wasted a ton of time trying to fix everything and keep finding more problems. The customer service is so unresponsive that I’m giving up – anything else that is wrong with it I’m just paying for myself – it is no longer worth the aggravation. Very frustrating experience. I wish I had not bought anything from Rad. A friend of mine also has a Power Wagon – his is fine and the bike is good. But if you get a damaged one, you’re screwed. Hi Everyone, If you had to choose between 3 bikes, a 2015 Sumo, a 2016 Sumo, or a 2016 RadRover, which would you choose? And why…? These are my options and I need to choose in the next 2 or 3 days. So please let me know asap. Thanks in advance. Hi, can i ask anyone that how much steep hill can fat bike, specially Rad Power Bikes RadRover, can climb? I just wonder because i live in really steep hill area and i want this!!! 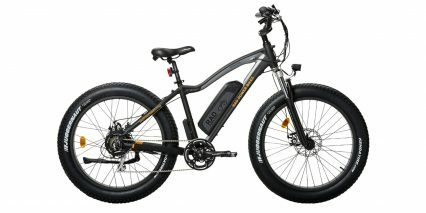 I saw your review of the Voltbike Yukon 750, as well as your Mexican trip with both the latest RadRover and the Yukon. They look very similar in style, components, and price. Which do you prefer? I’d like to use my bike for commuting about 20 miles round trip on roads, sidewalk (to avoid crazy cars), and grass. I also want to use for trail riding, including keeping up with guys who are in much better shape than I. Finally, the beach sounds awesome, and I’d love to do some snow biking (never done it). Which of the two should I get, all things considered? I’m grateful for this review as it inspired me to get a radrover for myself & my partner. 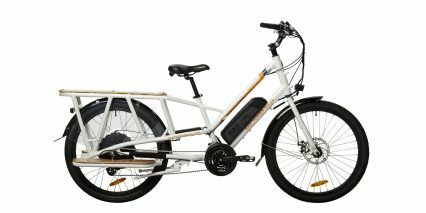 Certainly these bikes are an excellent bargain to me as they suit my needs to go further & faster than my non electric bikes, on the road and “lite trails”. I wanted to mention that both bikes got a little banged up in the shipping. Perhaps I should have anticipated that possibility with 70 pound boxes. I was able to get one bike up and running within an hour. Regarding the other bike, I communicated with Rad customer support with words & images to get replacement parts. I must say that I’m very impressed with their timely support offered. Within a week I have installed the new parts & the bikes are taking my partner and myself to places far beyond what we can peddle with the electric assist. Considering how inexpensive this bike is, I’m quite comfortable upgrading components such as the derailleur or headlamp when necessary. From your reviews I know there are many quality choices available. If money was no object I’d probably get a bike that cost several times more. But for now, my battery is charged and off I go. Thanks for the assistance, Court. I’ve made several posts on the forum under dm nelson. Awesome! Thanks David, hope you get some positive feedback there! Hey Court! Did I read this right–the 2016 RR’s downgraded to 6 cadence sensors from 12 in the 2015’s???? Yeah!! I think that’s what happened, it seems like they changed it from 12 to 6 which is so counterintuitive. I mean, how much money would that even save? Now that said, I feel like the six magnet performed very well so maybe they got these controllers to the point where the extra magnets were unnecessary or even bad… like if it’s too responsive and switches on when you’re barely even pedaling, like just resting your feet? I can’t say for sure but it did strike me as odd. I guess just watch the ride tests and see what you think for responsiveness. Note that higher gears might not respond as quickly because the cranks spin slower relative to bike speed but that in lower gears six magnets should be fine if optimized well.